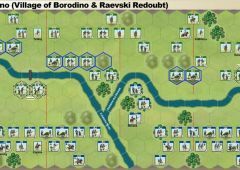 Archduke John made a fateful decision after his sharp defeat at the Piave River. He unwisely split his army into detachments to defend the southern approaches to the Austrian Empire. Jerome and Marmont took full advantage and mauled or destroyed several of them. Reuniting his depleted army, John took up a strong defensive position along the Pancza Stream. 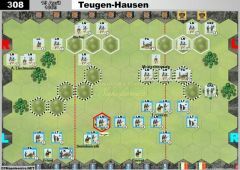 Eugene arrived early in the morning on the 14th and deployed his French and Italian forces in a position to be able to attack or defend. About 12 noon, he realized that the Austrians were not intending to attack and ordered his army forward. 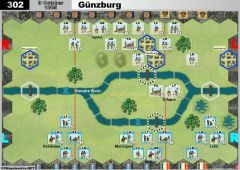 Eugene’s plan was to turn the Austrian left flank with his cavalry, while in the center, Serra’s division was ordered to take the strong Kis-Megyer Farm position, supported by Durutte. 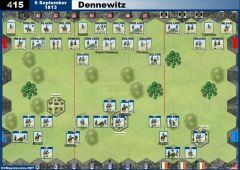 Serra, however, could not make any headway against the farm and it was Durutte and Severoli, to his left, that were less heavily engaged that gained the other side of the Pancza Stream first. Durutte’s attempt to take the farm also failed, along with Severoli’s attempt to secure the village of Szabathegy. 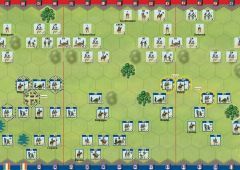 While Durutte and Severoli were falling back to regroup, Montbrum and Guedin’s cavalry were finding it very difficult to cross the stream. The French horse artillery finally was brought forward, which allowed the French cavalry to make it across. Once across the French cavalry destroyed the Austrian horse and turned to attack the Austrian center. About this same time, Eugene sent forward Pacthod’s reserve Division, and along with Serra managed to force the Austrians back onto the heights. 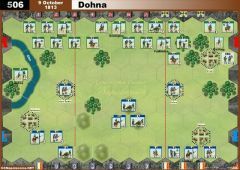 With the loss of his cavalry and the French now pushing his center, John was left with little choice but to retreat. Marziani quickly organized a rear guard and managed to delay the French advance, allowing the majority of the Austrian army to escape. 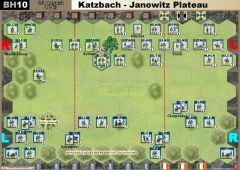 • The Austrians gain 1 Temporary Victory Banner at the start of the turn, for each battlefield section without a French unit across the Pancza Stream. The Austrians start with 3 Victory Banners. • The French are racing against time. 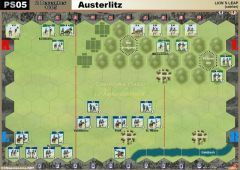 The Austrians may take 1 Victory Banner and only draw one card instead of two when playing a Scout Command card. 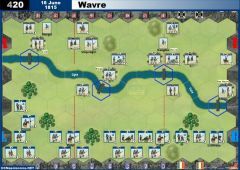 • The two farm hexes of Kis-Megyer form a Temporary Group Victory Banner worth 3 banners for the French at the start of the turn. 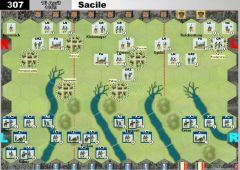 • The two town hexes of Szabathegy form a Temporary Group Victory Banner worth 3 banners for the French at the start of the turn. 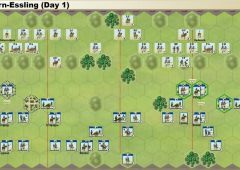 • The Pancza Stream stops movement for Infantry and Cavalry and is impassable for Artillery. The stream does not have any into or out battle reduction for Infantry. The stream does not have any into battle reduction for Cavalry. 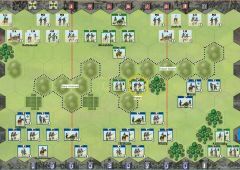 The stream will break a cavalry charge and a Cavalry unit is –2 dice battling out. The stream does not have any into battle reduction for Artillery. There are no movement or battle restrictions at the ford or bridge hexes.